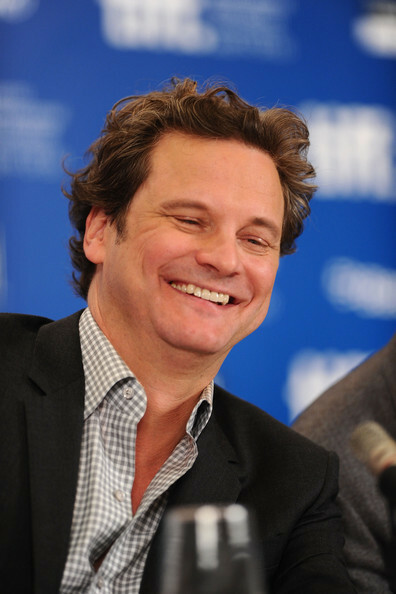 Colin Firth at The King's Speech Press Conference at Toronto International Film Festival. Colin Firth at The King's Speech Press Conference at Toronto International Film Festival. Wallpaper and background images in the Colin Firth club tagged: colin firth september 2010 the king's speech press conference tiff toronto international film festival. This Colin Firth photo contains costume d'affaires, costume d’affaires, costume, costume de vêtements, and costume trois pièces. There might also be pinstripe, à rayures pinstripe, costume double boutonnage, combinaison à double boutonnage, assesseur, and juge-avocat.